Though it doesn’t seem to receive the same praise as some of the other sports titles, it was the dynasty mode of NCAA football that truly set the stage for online dynasties or franchises. 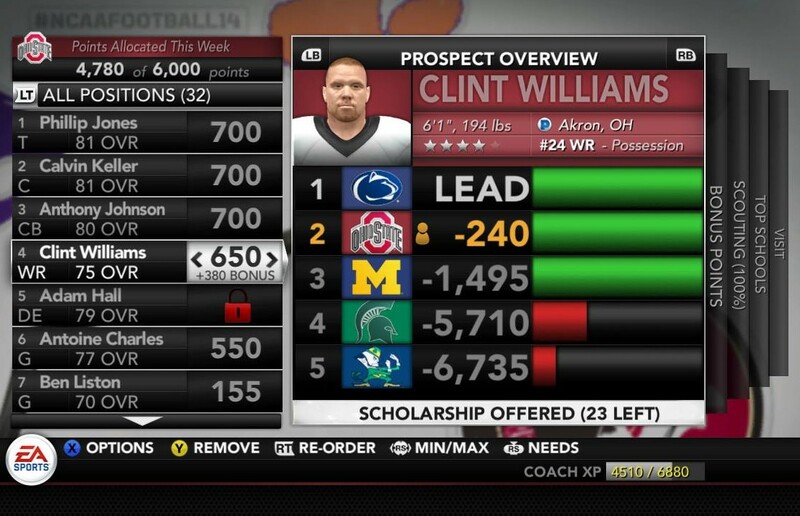 While we’ve already been given a few pieces of information on NCAA Football 14, we’ve received the very first information on the game’s dynasty mode today. New to this year are coach skills & power recruiting. Coach skills allow to to enhance various aspects of your coaching such as recruiting or game management, while power recruiting brings a new take on a feature that seemed to take quite some time in the previous years. What do you think about the newly announced changes for the game? Be sure to let us know what you think by leaving us a comment below, or continue the discussion on Twitter or Facebook.